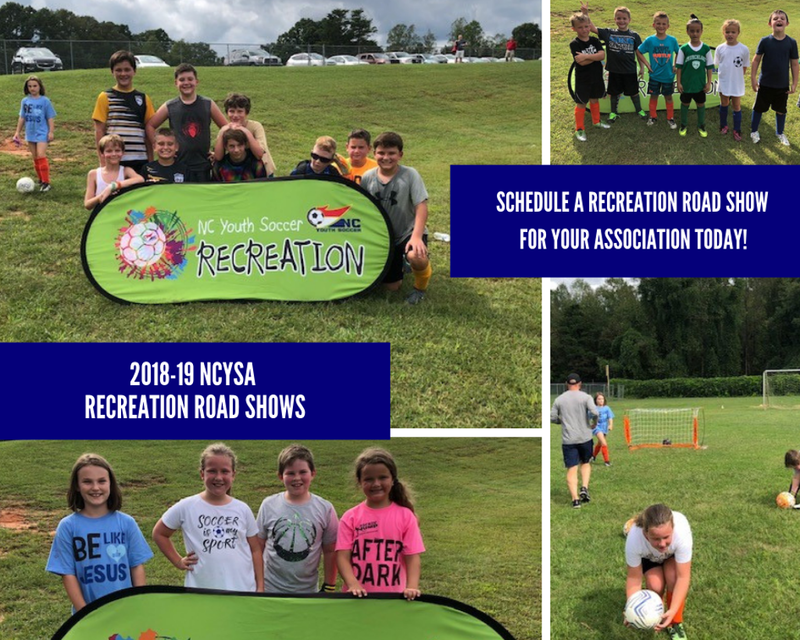 A Recreation Road Show gives the NCYSA Recreation Department in conjunction with the Coaching Education Technical Staff an opportunity to connect with our associations while giving back to our communities. Our hope is to have fun and celebrate the beautiful game of soccer while refining individual skills, increasing game awareness and enhancing knowledge through age appropriate activities, small-sided games and educational sessions. The Recreation Road Show can be conducted at any time throughout a recreation season. Scheduling at the beginning or end of a recreation season could be a great way to kick-off or celebrate a season. NCYSA will work with you to create a design for your Road Show to fit the unique needs of your association. Don't forget to ask us about goalkeeper specific sessions! Don't wait to schedule yours today - our calendar fills up quickly with Road Shows! The new application to host a Road Show can be found here. As always, please feel free to email Keri Jones to discuss options/scheduling. We look forward to seeing you on the fields; we can't wait to play! ©2019 North Carolina Youth Soccer Association / SportsEngine. All Rights Reserved.